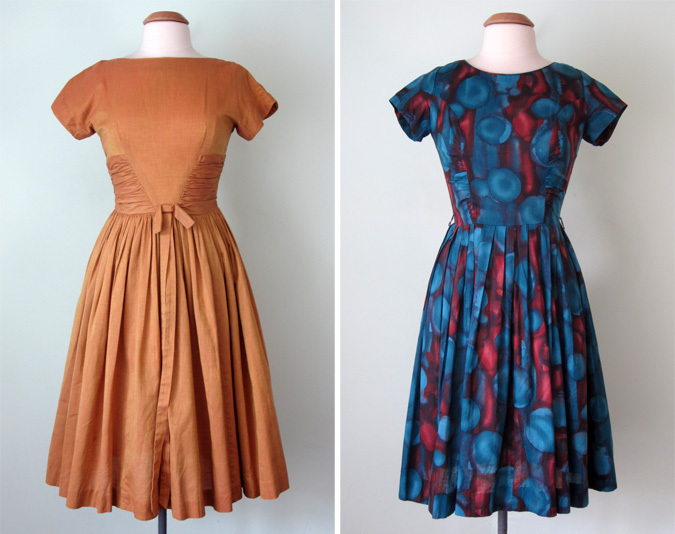 A few weeks ago I discovered a lovely collection of vintage dresses at a flea market. They were all in need of a little love, so they've been soaked, mended, steamed and are ready for new homes. All of these have been added to the Etsy shop. Now I better get to work on the next batch! 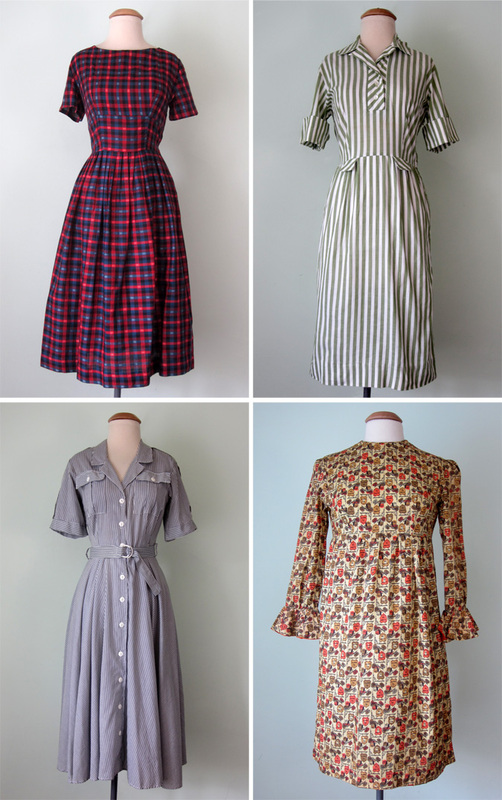 I love how this is a labor of love for you...every October is when our local Goodwill finally lets forth a torrent of vintage for Halloween, and I try my best to save the beautiful ones for my costume collection rather than dream of them ending up covered in spilled beer. I love the way all these look, I just don't know if I could pull them off.. what to do, what to do. Now for the skirts, I can definitely pull those off!